Athleisure is a relatively new fashion trend in which clothing designed for workouts and other athletic activities is worn in other settings, such as at school, in the office, or at other casual and social outings. Since sportswear is much more versatile and comfortable than the majority of clothing, the fact that this trend is now stylish has lead to a major fashion movement. You can’t simply throw on some running shoes and expect to improve your style, however. You have to get a little creative and you have to find a look that feels — and looks — right for you. Pair sneakers with everything — First, in order to find your new athleisure-based style, start from the bottom. A pair of clean sneakers, if worn confidently, can look fantastic. Make sure you are taking care of them, though. If you only have one pair of actual running shoes, you might want to reserve them for running only. If you have a few extra pairs — go ahead and wear them when you’re just hoping to look nice. It’s all about comfort — The only way you’re going to look good in an outfit is if you feel good, too. 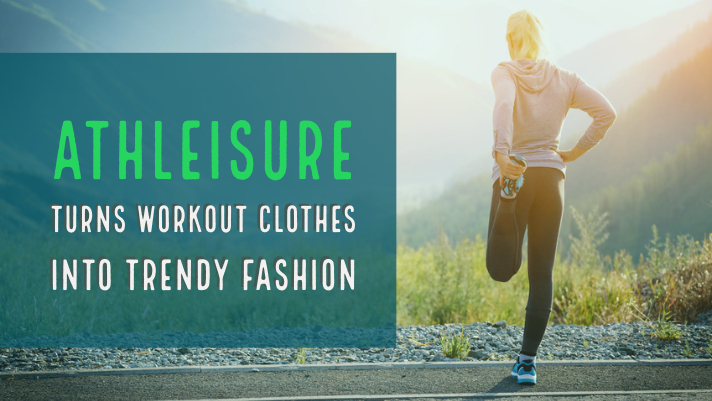 Though athleisure wear can be quite comfortable, the wrong size or certain materials might feel constricting for you. Try on everything before you buy it and make sure you’re as comfortable as possible. Rock some nice shades — Polarized lenses have been offering protection from UV rays since 1936, but they offer much more than that when worn correctly. Paring some nice polarized lenses with your athleisure outfit will help your entire look come together perfectly. Layer up — To complete your look, find a cool jacket or chic vest to give your style a boost. Also, utilizing sports bags as part of your attire can help your outfit come together. Just have fun with it! If you want to find some high quality polarized lenses equipped with anti glare technology, or find some polarized replacement lenses, and start improving your style, give Galaxy Lense a call right away.